Seven has confirmed the timeslot for Beach Cops and Season 8 of Castle, both screening this Sunday. 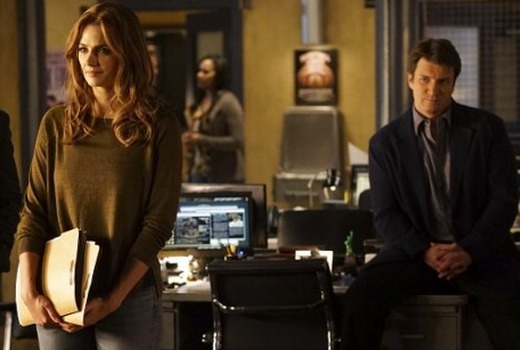 Fans should expect big things of Castle, according to those who have seen the 2 part US premiere. Narrated by Layne Beachley, Beach Cops follows the police men and women who operate along Sydney’s Northern Beaches. From driving offences to missing persons to drugs, see how the officers respond to the dangerous, tragic and often funny situations that are part of their everyday lives through Summer, when the stretch of coastline, from Manly to Palm Beach, swells by seven million visitors. Australia’s Daisy Betts (The Player) guest stars in the two part season premiere which airs here across October 11 and 18. The two parter is partially told from Castle’s perspective, before shifting to Beckett’s point of view in the second half. The premiere also includes the reappearance of Bracken (Heroes Reborn), the senator responsible for ordering the hit on Beckett’s mother. You silly duffer! You’re supposed to watch nothing but [insert network here] – if you pay attention during the ad breaks, they’ll tell you everything you need to know about when to watch your favourite shows on [insert network here]! TV guides & EPGs are only meant for those people silly enough to watch [insert other networks here] to find out about the amazing shows on [insert network here] – not loyal and trustworthy viewers of [insert network here] like yourself! Its true. How are we supposed to know what’s on when the tv guide for 7 still says tba (just checked yahoo tv guide just now) for Sunday from 8pm. Are we supposed to be able to read the minds of 7s programmers to know whats on? I fully expect headlines next Monday saying quantico has moved from 8.30pm Sundays. What hope do viewers have. Poor promos, TV guide / epg still says tba and 2 weeks delayed from US airdate. Not a way to promote and air and new show. It takes time for EPGs to update… and yes there are times when the site is swifter. Thought 7 had announced Quantico for this Sunday night (followed by return of Castle)? Can’t see how Blacklist will get good numbers tomorrow night after same network promoted its return for Thursday 9.30pm.